Like a nap, a cup of coffee, or a hug, a massage heals your body and boost your energy levels to continue your daily life routine in the best way. You experience the same feeling when you decide to take a break and go on vacation, that’s when two things become your priority: being relaxed and fully happy without anything disturbing us (this includes putting your phone in silent mode). It is a fact that the current pace of life leads us to have high levels of stress which lead to health problems, both physically and mentally, so we are aware of the fact that having a good rest is as necessary as eating healthy and exercise. But resting does not only mean taking a break from your routine for a few days, resting actually means to get disconnected from the outside world in order to reconnect with your own inner self. Sometimes, we feel exhausted at the end of a trip as if we needed a second vacation, or we feel like we cannot completely disconnect from the outside world, this happens when the environment you are in and the things you are doing are not in tune with your inner self. There are many effective ways to get a full rest in your vacation, but this, for the most part, will depend on the destination you choose. The quality of your vacations and rest is directly related to the place around you, so choose your holiday destination carefully. One of the best destinations for getting a complete rest is Aruba, a place where you will have nothing to worry about because Aruba is the happiest island in the world, that’s right, the happiest, and you have to believe that in a place like this there is no room for stress, problems or emotional burdens. Why is it the happiest island in the world? Obviously the combination of crystalline waters and white sand is one of the main reasons, but there are also other factors involved. 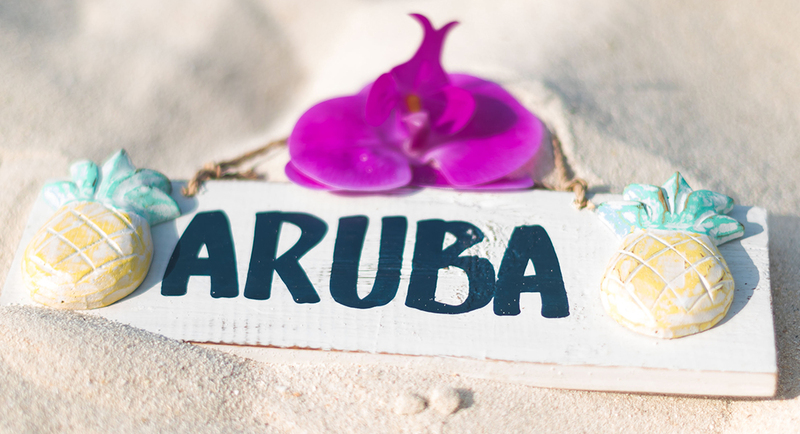 Aruba is also home to incredible secret caves, natural pools, lush trails, a bird sanctuary and millions of fish species. It also has the perfect climate all year round, the best spas in the Caribbean and the friendliest shopping centers who spread the happiness of being part of a rich Caribbean culture. All of these factors are the ones in charge of making the island the happiest in the world. And they are also the ones that allow you to transport to a more relaxed state and achieve that inner connection we urgently need and that is often overshadowed by the noise of the city. It is no coincidence that thousands of people return to the island every year to visit their spas and enjoy the benefits of a good massage, in case you didn’t know; massages provide you with the rest, relaxation and happiness you deserve. Many people believe that spas are strictly related to an aesthetic purpose, but this is not completely true, if you look at all the benefits that massages have you can notice that it is really about improving your body, mental and emotional well-being. A massage is a healing ritual. Don’t worry; it has nothing to do with witchcraft although it does have its hidden magic. If you think about it, our daily life is full of rituals, from the moment we wake up we perform actions that make us feel better, as simple as eating, bathing, brushing our teeth, or doing our makeup, our daily life is full of small repairing acts that become part of our routine. A visit to the spa is also a repairing act, after a massage you feel like a new person, someone fresher and happier. And although getting a massage is not exactly something we do daily, imagine how different the world would be if we did, we would all walk around with a smile on our faces even on a busy Monday, and traffic would definitely be a less stressful place. If you have gotten a professional massage before, you will notice that sometimes we go to these places and we have no idea of what they are doing or how it is affecting our body, we only know that it feels good and that’s enough. But behind this sensation there are many processes happening in our body that impact us emotionally, mentally, physically and even spiritually. It’s time for you to become aware of the magical benefits of getting a massage on your vacation. After reading this list you’ll want to have your personal massage therapist. They increase mental clarity and concentration, so you’ll never waste time looking for your keys before leaving. They improve sleep quality, taking you straight into the land of Nod. They decrease stress and anxiety, better than eating a chocolate (although if you’re on vacation it’s okay to stop your diet). They reduce depression through the benefits of physical contact. They minimize dependence on medications as they alleviate pains such as headaches and muscle pain. They reduce fatigue and make you feel brand new. They rejuvenate you like a magic potion. They enhance immunity by stimulating your body´s lymphatic flow and natural defense system. This means you will be less prone to disease. They release endorphins, yes; those hormones that make you feel in the clouds and also work as a natural analgesic in our body generating a feeling of well-being, pleasure and happiness. They alleviate the annoying lumbar pains. They increase the flexibility of the joints. They relax and exercise injured, tired and overused muscles, all those who have practiced any sport know what we’re talking about. They promote tissue regeneration and reduce scars and stretch marks. We often forget that the skin is also an organ and also needs our attention. They pump oxygen and nutrients to vital tissues and organs improving circulation. They reduce spasms and cramps. They expand the capacity of imagination. They awaken a sense of gratitude. They increase awareness and allow you to connect with your inner self. The connection between mind and body is fundamental for receiving all the massage benefits, that’s why your vacations are the perfect time to visit the spa, because it’s when your mind and body change – they just get ready to relax. It happens automatically, when you don’t have to worry about household chores, going to work, not missing an appointment and other daily responsibilities; it is as if you were releasing space inside yourself to let in all the massage benefits to your body. There are infinite types of massages to meet everybody´s needs, which is why there are Spas that specialize in clinical massage where the attention is personalized; they make a diagnosis to see what is your emotional and physical state so that they can treat you properly (below we tell you about the kinds of special massages and their benefits). 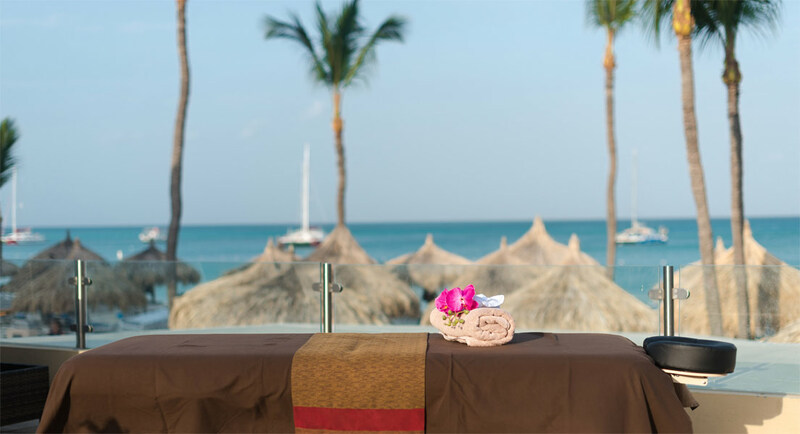 One of these magical Spas is the Clinical Massage & SPA located in Aruba, the perfect scenario for resting. You can find it in Playa Linda Beach Resort and Casa del Mar Beach Resort. It is not a conventional Spa, their purpose is to transform people´s life by helping them to heal and feel better, both internally and externally. When visiting the SPA each person has a special ailment or request so the massages are personalized, but each massage is given with the same purpose of transmitting peace and recharge positive energy to every visitor, especially those who come on vacation. Receiving a massage is a very personal experience; imagine that your body is a temple and a massage is a ritual. When you receive a massage you are leaving your body, worries and ailments in the hands of someone else, so it is important to make sure you are getting treated with professionals. Clinical Massage & SPA provides a friendly and professional treatment where you feel safe and completely relaxed, this is an essential step for having a transforming experience. 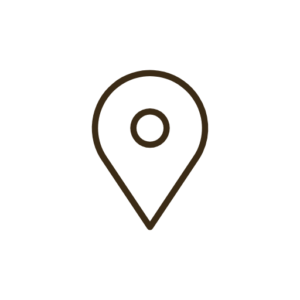 When we have accumulated tensions the Swedish massage is the perfect combination of techniques to relax the whole body in a gentle yet effective way. This is achieved by rubbing the muscles with sliding movements in the direction that the blood returns to the heart, its effect promotes circulation and the elimination of toxins. Many claim that the volcanic stones used for this type of massage have special properties that make the vital energy flow and eliminate bad energies by alleviating physical and emotional problems. Hot stone massage helps to cure intense muscular pains when addressing the deepest muscle layers, its benefits are: chronic pain relief, including fibromyalgia, arthritis and multiple sclerosis, in addition to the reduction of stress and tension. In aromatherapy the sense of smell gets involved, the smell is linked to emotions and memory; when breathing certain aromas the mood changes favorably, it improves concentration, promotes relaxation, and relieves depression. The properties of these oils help calm someone with anxiety or stress, it also improves breathing, and it benefits physical and emotional health. Now, you know that the benefits of getting a massage are pretty awesome, but getting one of these massages while on vacation in a place as sublime as Aruba has even more benefits. Sometimes we think we can handle all the burdens and forget that our body needs moments of deep rest where we can disconnect from the outside world and reconnect with ourselves. Don’t forget that the energy you receive through a massage has the capacity to transport you momentarily, but also to transform your emotional and physical state in a lasting way.